Bobbie Kilber is an Instructional Specialist with the SD Statewide Title III and Migrant Consortia. Bobbie supports 20 of the 80 + member districts. She provides professional development and technical support to schools with English Learners and/or migrant students. Throughout Bobbie’s 20 year career in education, she has gained experience working with multiple grade levels and has worked with English Learners for seven years. 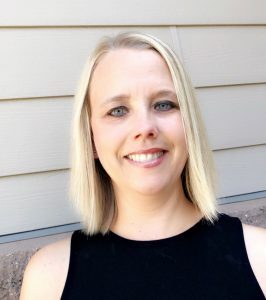 She has been an instructor for Preschool, Reading Recovery, Title I, Grades 1 and 2 combined, Grades 4-8 at a Hutterite Colony school, Middle School Social Studies/Advanced Reading, and she has served as an ESL Interventionist. In addition, Bobbie has two years of experience as Principal for three Hutterite Colony Schools. She has a BS in Early Childhood Education from South Dakota State University, Elementary/Middle School Certification from Black Hills State University, Reading Recovery certification from the University of South Dakota, a Master’s in Leadership and Administration in Education from Northern State University, and an ENL Endorsement through Dakota Wesleyan University.